Diabetes is becoming more common every day, and there are approximately 26 million people who are currently suffering from the disease. Although these numbers can cause considerable anxiety, it is important to focus your attention on the numbers that mean the most to you as a diabetic, including your blood sugar levels. The more you understand about your numbers, the more effective you will be at managing your diabetes and living a happy and fulfilled lifestyle. The A1C test provides valuable information about average blood glucose levels over a period of three months. The fasting plasma glucose test is administered after a period of fasting (for at least eight hours). The OGTT test is designed to record blood glucose levels at various intervals after consuming a sweet drink. These numbers are simply recommendations, and it is important to talk to your doctor about your ideal blood sugar numbers. In addition to determining whether a person has diabetes or prediabetes, the A1C test can also help diabetics know whether they need to make adjustments to their diabetes plan. This test should be performed at least twice each year in order to catch complications early on and make lifestyle amendments as needed. Cholesterol: LDL cholesterol should be less than 100 mg/dL in individuals who do not have cardiovascular disease. HDL cholesterol should be above 50 mg/dL for women and above 40 mg/dL for men. Talk to your doctor about your ideal levels. 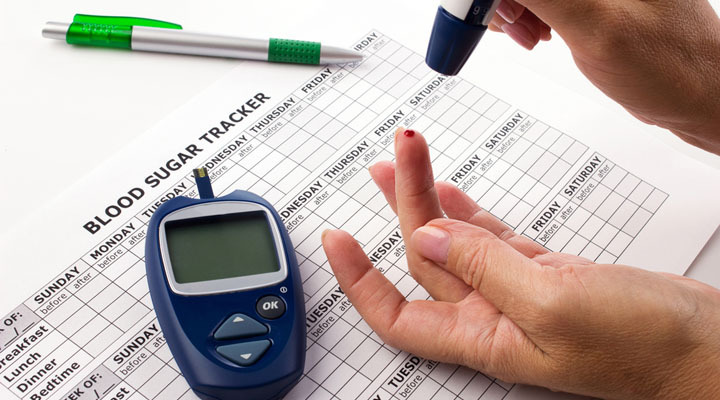 Being diagnosed with diabetes may seem like the end of the world temporarily, but as long as you learn how to monitor and manage important numbers that relate to your health, you can live a long and happy life in spite of your diabetes.